At this point in my pregnancy (16 weeks) I haven’t slowed down much. I don’t feel as exhausted as I did with Alexis. For the first half of my pregnancy with Alexis, I was tired all of the time. Especially, the first trimester. Coming home from work to nap for at least an hour before dinner was standard. This pregnancy I have felt really energized and have only napped on the weekends when Little has napped. I am not sure where the energy is coming from, but I would rather have it than be a mombie! Monday: Rest day!!!! I was sore from a 5K on a Saturday + a 7 mile run on Sunday. Tuesday: I got my new Brooks PureCadence shoes and couldn’t not go running! Wednesday: Little and I did our first BOB run in several months. It had been so long that I forgot how difficult that it is to push her! We ran downtown through Riverfront Park so we could take a mid-run break and see her daddy at work. Little loves going for runs with me so she was content the entire time. In the first two miles she inhaled a banana and ate a large handful of popcorn. Thursday: Went to the YMCA and and completed an elliptical workout. I wanted to go longer and was almost done when I was notified that I had to go to the daycare and pick up Little because she pooped. Ha. Friday: Didn’t feel that fantastic, but managed to get in a run. It was a long week at work and I felt winded the entire time. Sunday: Completed my longest run since October 2013 when I ran a half marathon pregnant with Little. The first few miles were tough- not only are the first two miles uphill, but I was having a hard time catching my breath. It wasn’t until I was almost 3 miles in that I started to find a rhythm. My plan was to run up and around the south hill and end up at the park where I would meet Cam and Little so she could play. 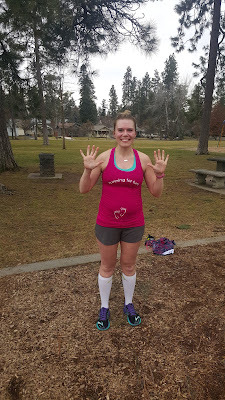 I was feeling pretty good when I hit mile 6, but the last 2 miles were a struggle. I was happy with my mile splits- each mile was faster and I ran a faster pace than I did with my 7 mile run a week prior. 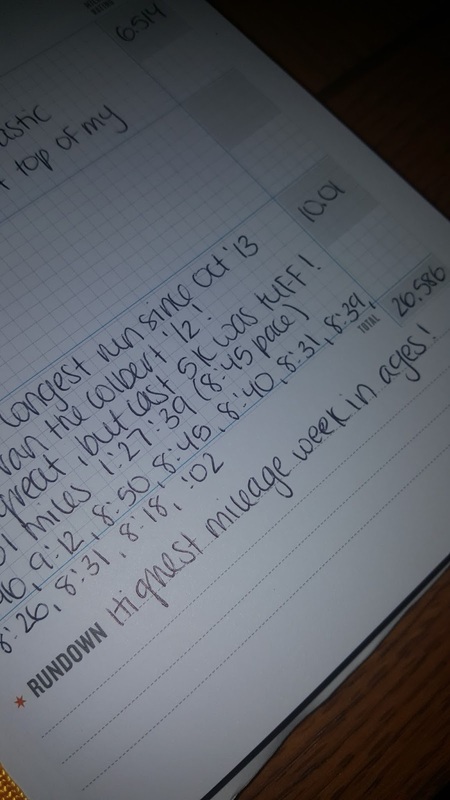 Highest mileage week in forever and pregnant! My half marathon is less than 8 weeks out. 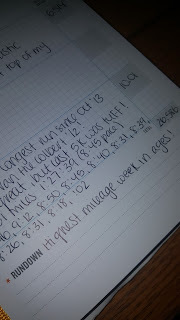 I am going to modify my old training plan and not run anything further than 11 miles. A 12 mile training run pregnant is pushing it for me, especially when I don’t have any doubts of being able to finish and I am only running to finish.